Watch: Is a Wrap Really Healthier Than Whole Wheat Bread? Remember when chipotle was an exotic ingredient? Now we have Chipotle (the restaurant) on every other corner. Americans love Mexican food when we eat out. Mexican chain restaurants grew twice as fast as other chains in 2009, according to a recent report. I love nachos dripping with melted cheese as much as you do, but fat and calorie levels are sky-high on many of those oversized restaurant platters of enchiladas or chimichangas slathered in cheese and sauces. It’s enough to make you cry into your margarita. Instead, let’s focus on the bright, fresh tastes of authentic Mexican food, delivered by these recipes for quick, healthier Mexican dinners you can make at home. Don’t Miss: The Mexican-Food Secret That Can Help You Lose Weight! 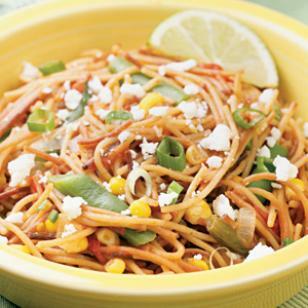 Stovetop Fideos: We have quick, healthy Mexican recipes for all tastes. For a meatless meal, try Stovetop Fideos, a version of a traditional dish that starts with toasted pasta (the fideos), throws in a market-basketful of vegetables and cooks it all together in one pot with a garlicky broth. Coctel de Camarones: Looking for something healthy to fill those big, beautiful margarita glasses? 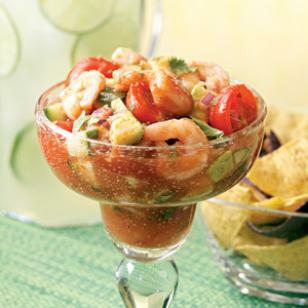 Make a lively and lovely Coctel de Camarones (that’s a Mexican take on shrimp cocktail). It has that “easy yet elegant” thing going on, so it’s great for entertaining too. Homemade Chorizo Tortas: I like to mix things up and have a hot sandwich for dinner sometimes. A torta is the Mexican version of a panini—a pressed sandwich made with crusty bread that can have an endless array of fillings. 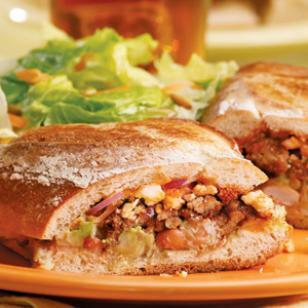 For our Homemade Chorizo Tortas, we make our own chorizo-inspired filling by spicing up ground pork or turkey. 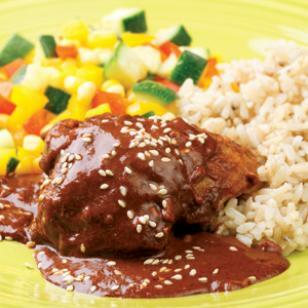 Chicken with Quick Mole Sauce: Another traditional Mexican dish is chicken with mole (rhymes with “Olé!”) sauce. Some moles have lengthy ingredient lists and can take hours to make. Chicken with Quick Mole Sauce is ready in 35 minutes and still full of rich, fascinating flavor. 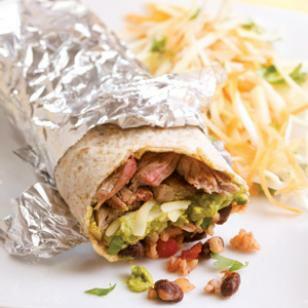 Steak Burritos: Here’s a steak burrito (pictured above) you’ll be making more than once—it’s everything you want in a burrito and just about everything you need for dinner tonight. We’ve kept this home-style version a bit simpler to make and a whole lot healthier with brown rice, whole-wheat tortillas and a more reasonable serving size. 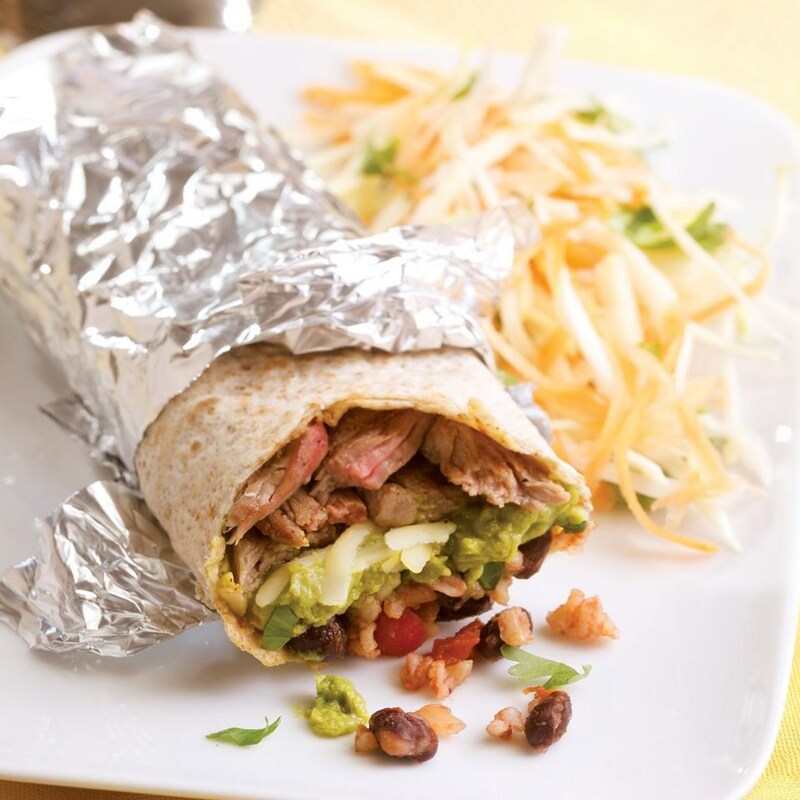 We recommend wrapping it in foil—the traditional way to serve it—so you can pick the burrito up and eat it without it falling apart, peeling back the foil as you go. Serve with a cold beer and vinegar-dressed slaw.